Sets the RadEditor visible on the client. 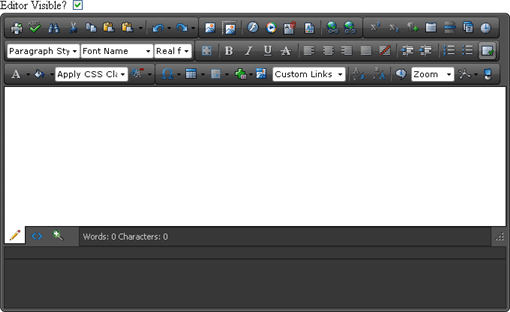 isVisible boolean If true RadEditor will be visible on the client. The following example places a standard ASP checkbox input control on the form to toggle RadEditor visibility. In the form's declaration, the checkbox input control references a "myCheckboxClick()" method called each time the checkbox is toggled.